Such is the premise of the latest Newt List publication of Judge Thomas Troward, The Law and the Word. Using the Bible as his launching pad, Troward explains in scientific principles the promises of the Bible, thus revealing its truth in an entirely new and empowering way. In The Law and the Word, Troward uses scientific theory to explain how it is that we live in a spiritual world and why this is so. His theory is that explaining how spirituality works empowers the individual to use it more effectively, as opposed to taking spiritual ideas purely on ephemeral faith. The power of Thomas Troward lies in his use of logical, scientific theory to explain how and why the world in which we live operates as it does. This is why Newt List editions of Thomas Troward books are so valuable. 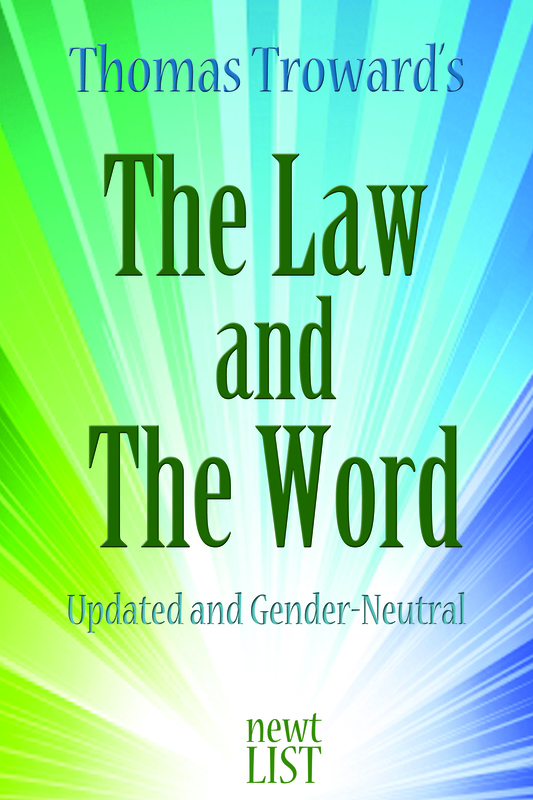 This Newt List edition of The Law and the Word has been exactingly edited to update much of the archaic language and punctuation, as well as to incorporate gender-neutral forms, making the text infinitely more readable and accessible.